Combo pricing listed by each cap includes 1-color Suede Puff imprint on caps & 1-color silkscreened imprint on one side of Hanes 5280 white tees in quantities of 96 & up. For Combos less than 96, add $1.25(g) each. Absolute minimum is 48. Hanes 5280 white tee will be used unless otherwise specified. You may select an alternative white tee in level #1 at no additional charge. Level #1 tees include Hanes 5170, and Gildan 8000 50/50 tees; and Hanes 5280, and Gildan 5000 100% cotton tees. Add $.39(d) to upgrade to white tees in level #2 which include Hanes 5250 Tagless Comfort-T, and Gildan 2000 Ultra Cotton 100% cotton 6.1 oz. tee. 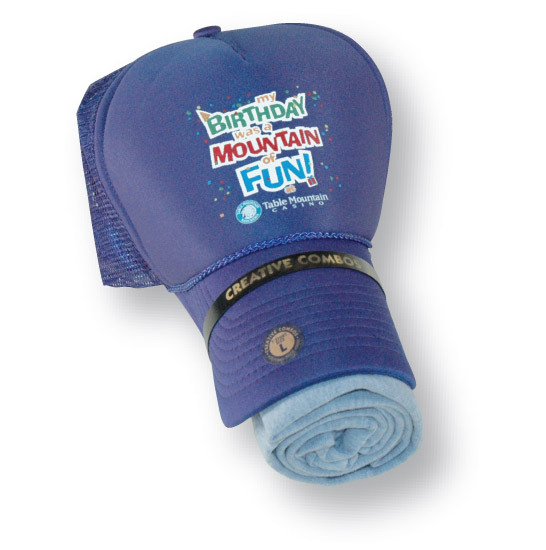 For additional imprint colors or placement and set-up charges refer to "Sides". 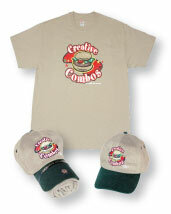 See "Substitutions" to change shirt color or embroidered caps. Add $.25 (g) per cap for ea. add�l 1,000 stitches. Tape Charge: $75 (g) for designs up to 5,000 stitches. Add $15 (g) tape charge per ea. add�l 1,000 stitches.